Blankets in July? WTF, right? Yeah, well, it’s cold somewhere right now, and someone is going to want a soft, cozy throw to warm their toes. 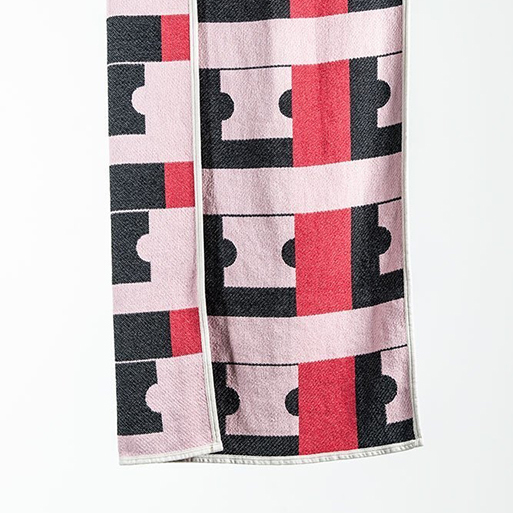 Plus, summer won’t last forever, and these throws by ZigZagZurich (designed by Nathalie Du Pasquier & George Sowden, founder members of Memphis movement) are relatively inexpensive and very much pattern-fantastic. 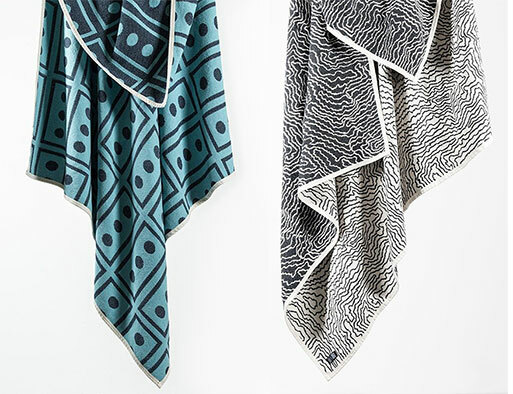 There’s more available at CoopDPS, including duvet covers (!). So, go ahead, take a look and pick one to add to your abode. Your extremities will thank you when autumn rolls around. 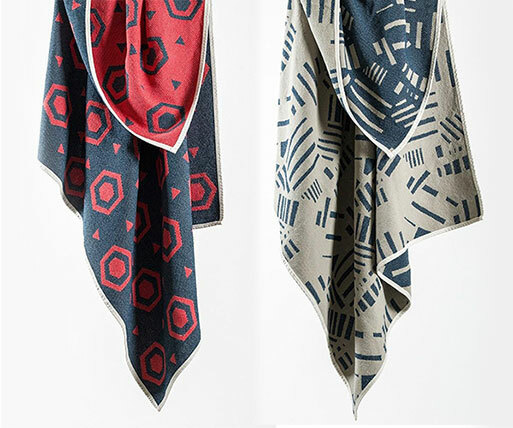 Earth, Shangai, and Japan designs available at Forage Modern Workshop. Visit CoopDPS for complete collection (they offer free shipping over $100 usd to the USA and Canada – direct via FedEx to your door). Available from Forage Modern Workshop, $160.00.